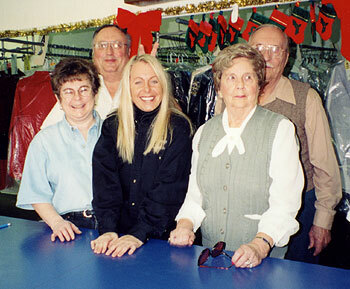 Part of 3 Generations of Dry Cleaners! What does the natural, gentle process mean to you, the consumer? A descendent of the original dry cleaning process, our 140 system is gentle and prolongs the life of your valued garment. That tell-tale dry cleaning odor that many cleaners have is eliminated. The process is very effective in removing that unwanted grime, soil and spots. It's true, some spots are permanent, but if it's removable, our process will remove the unwanted stain. Not only are your clothes gently cleaned, they are processed in a smoke-free environment. We've won more spotting awards than any other Ohio drycleaner! Since 1948, our staff has been committed to helping you look and feel your best! © 2001-2018, Sunbury Cleaners, Ltd. Website Produced & Hosted by AdaMedia, Ltd.